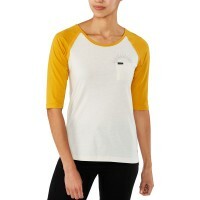 Dakine Rikki ¾ Baseball tea puts an end to boring T-shirts. The comfortable casual shirt comes at cool contrasting colors and graphics on the back . 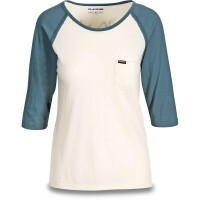 The clever mix of materials makes the shirt very soft, also it is Breathable and dries quickly . 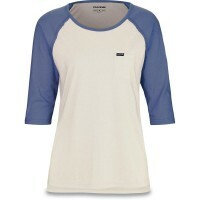 Especially in the spring and on warm days, the ¾ length sleeves of the shirt baseball style are very comfortable. 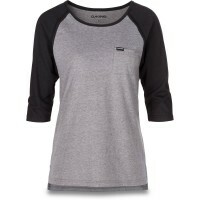 Customer evaluation for "Dakine Rikki 3/4 Baseball Tee T-Shirt Black / Lavendula"